The word "well" is a lot of associations. It cracked and old "pie" in the middle of the village, and a sip of scalding cold clear water straight from a bucket on a hot day, and a nice house, in the center of the chamber's suburban area. Once upon a time the only village well was a meeting place: here you can not only stock up on water, but to get all the village news. 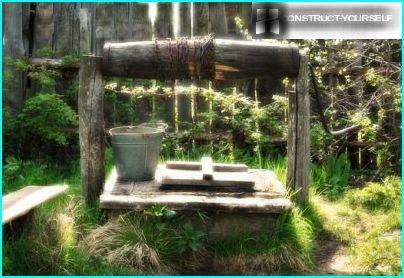 Times are changing, the wells has increased - in almost every yard dug their own water sources. They are widely used for water supply houses, watering gardens and orchards, sometimes clogged or displaced - that is why you want to timely repair of wells. This is what we are today and we will speak. Quite often a need in the wellperform a thorough cleaning of the walls and the bottom, so that the water became transparent again and secure. The emergence of biological deposits on the concrete or wooden walls - a natural process that occurs in stagnant areas. Debris that falls through the upper hole, begins to decompose, forming pockets of bacteria. These in turn are deposited on the side walls in the form of a thick mucus layer. 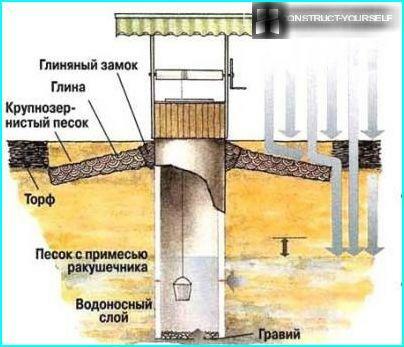 Heavy particles fall to the bottom and accumulates there, forming sludge and reducing the usable area. Sometimes the cause of pollution aredamage to structures - joints gap, offset rings, rotting wood. 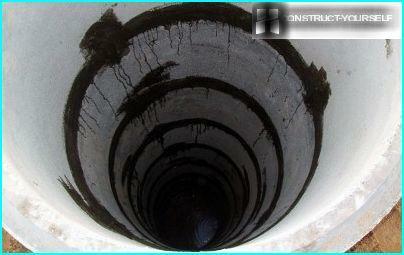 To eliminate the consequences of major breakages, cleaning and repair of wells are produced at the same time. cleaning walls by special trains. 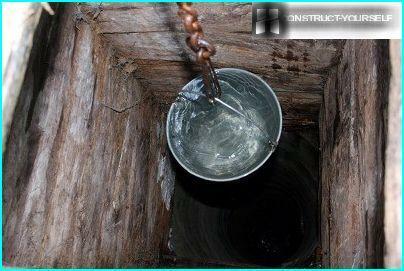 If at the bottom they found the remains of dead animals,the well should be disinfected. 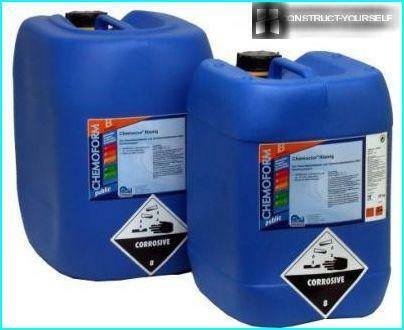 The simplest and most affordable option - "treatment" chlorine. 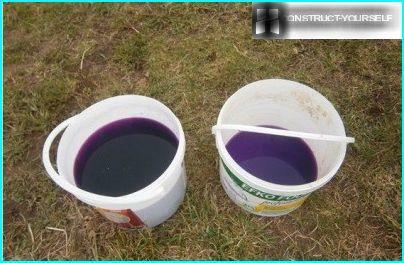 Pump water, pour a sufficient amount of chlorine solution, cover the top of dense tissue (eg, tarpaulin), leave at night. Then the bleach water is pumped out completely wash well. To completely remove traces of disinfection need to change the water several times, until a peculiar odor disappears, but as a result it will be absolutely secure. Under the complex repair of the well meanta number of activities related to the sealing of joints, replacement of parts, strengthening them. Also, are any dredging. Some defects facilities easily detected by purging. Let us consider the cases in which needs urgent repair. A slight shift of concrete rings can beIt provoked by the spring snowmelt, particularly when used in the construction of low-quality concrete. Between the rings there are significant cracks through which penetrates into the soil structures. In the future, in addition to the permanent contamination, can occur a full descent of the ring - and then need more serious repair. To get rid of small damages, cracksand potholes, use a waterproof sealant. The most basic kind of putty - a concrete solution which thoroughly coat with all the cracks. Before that, you need to clean work surface, removing crumbling material. Note! 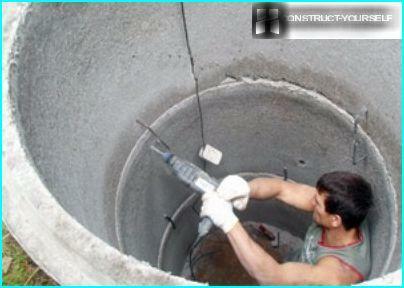 There are many modern compositions for the repair of wells with their own hands. One of them - a solution for the restoration of concrete surface Fasi RM. It is applied as a conventional grout, trowel or spatula. Thus 15 kg of the mixture is sufficient for qualitative processing square meter of concrete, if the applied layer about 20 mm thick. Large cracks require intervention from the outside. In this case, the pull rings around the trench to a depth of injury treated seam allowed to dry and buried back. It happens that the rings are constantly shifting in the direction of - how to repair a concrete well to increase their strength and to obtain the desired stability? It requires serious intervention. 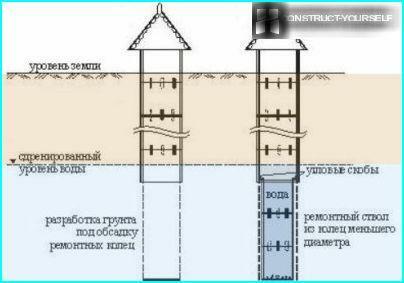 To begin to dig a well on all sides and disassemble the damaged area. Then you need to install an offset element into place and all the joints are reinforced with metal brackets, and then close up the seams and make sealing Gidrolastom or Penetron. 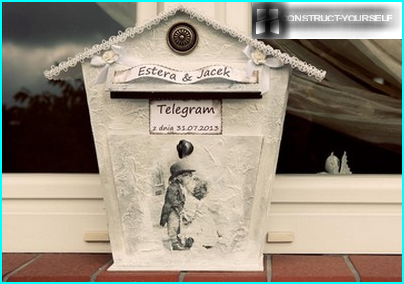 If not at hand professional sealant, you can use a mixture of cement, PVA glue. Seams should be treated on both sides. Around the well dug trenches 1.5-2 m deep and 1,5-1 m wide. All space is filled with clay, compacted. The top layer is decorated (turf, boards, sand). Powerful layer of clay acts as a barrier from the effects of surface water, as well as the mechanical fastening element for concrete rings. Well relatively young - no more than builtsix months ago. 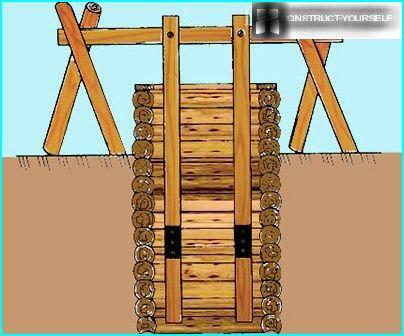 In this case, it suffices to remove the ground from under the lower ring to the whole structure slowly settled below (as it happened in the process of construction). When the structure falls to the final mark, top mounted additional rings. Well old. His "building up" at the bottom in depth, but using rings of smaller diameter (or thicker plastic pipe). At the bottom of the well dig a hole to the depth of the new aquifer and placed it harvested ring. The junction of old and new elements carefully sealed. Eventually, one or more wooden logswell rots and becomes unusable. To change the damaged beams upper segment is not subject to repair, is lifted with the help of a goat, and at the end of the work is lowered into place. Rotten logs are replaced with new, and sometimesinstead of using wood, reinforced concreting: install a grid of valves, assembled formwork and pour concrete solution. 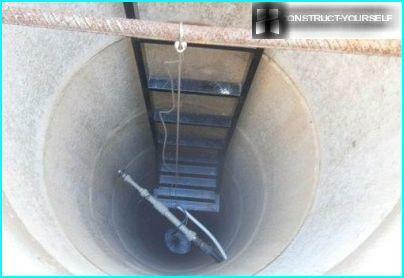 Work carried out with a specially prepared ground, lowered into the well on strong ropes. 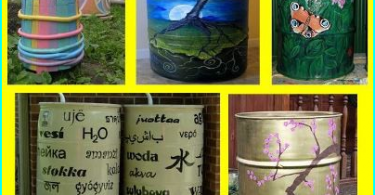 If the wooden well not to do repair in time, water will become cloudy and will be unpleasant, musty smell, and the design eventually completely fall apart. To eliminate turbidity of the water on the bottom of the wellput crushed stone - this is the bottom filter. 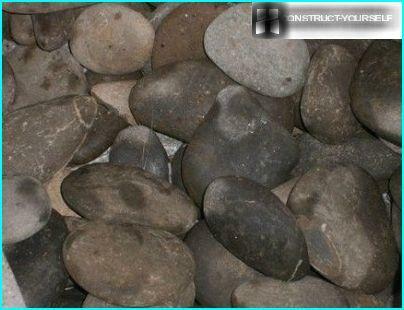 Silicon or other mineral has a solid structure, therefore not soluble in water and does not create a mist. Particularly useful filter when water from the well is fed by a pump. The particles of silt or sand can damage equipment, besides, they clog up the water coming into the house. mineral layer thickness should be not less than 10 cm If the bottom has a movable structure or viscous, it increases to 50 cm. - in this case, even if the water remains clear silt. To damage the well design did not become an unpleasant surprise, about once every six months to do a routine inspection, and regularly check the water quality.